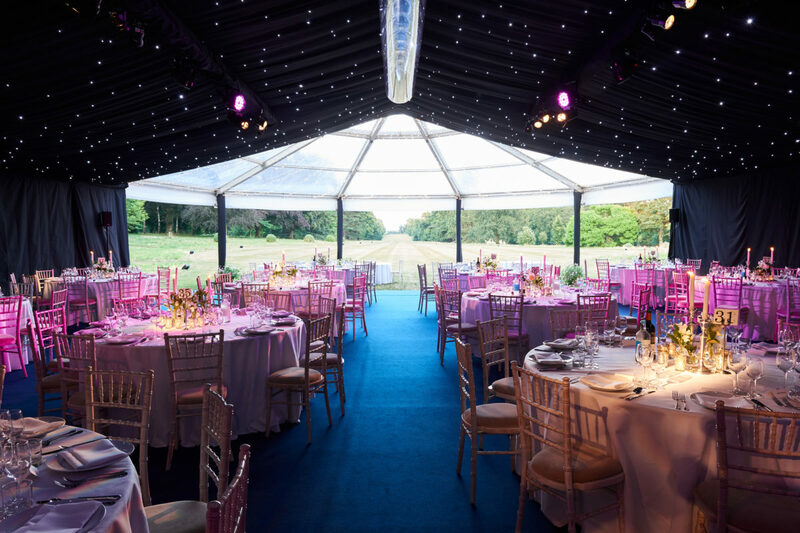 Whether you are surrounded by rolling countryside, have a historic building towering above your event location or simply want to be able to see the spectacular firework display in all its glory – our transparent marquees with their clear roofs and wall panels may be the solution you need. 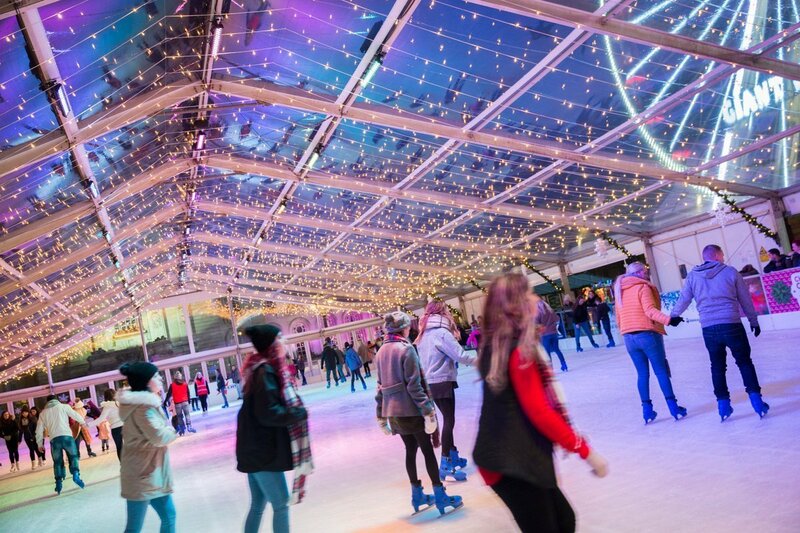 Danco have an interchangeable combination of clear PVC roofs and gables, with both solid glass window wall panels and clear PVC wall curtains to suit your requirements. These can be accessorised with our fully glazed entrance doors and a variety of coloured sails, swag detail and draping to make your event truly unique! 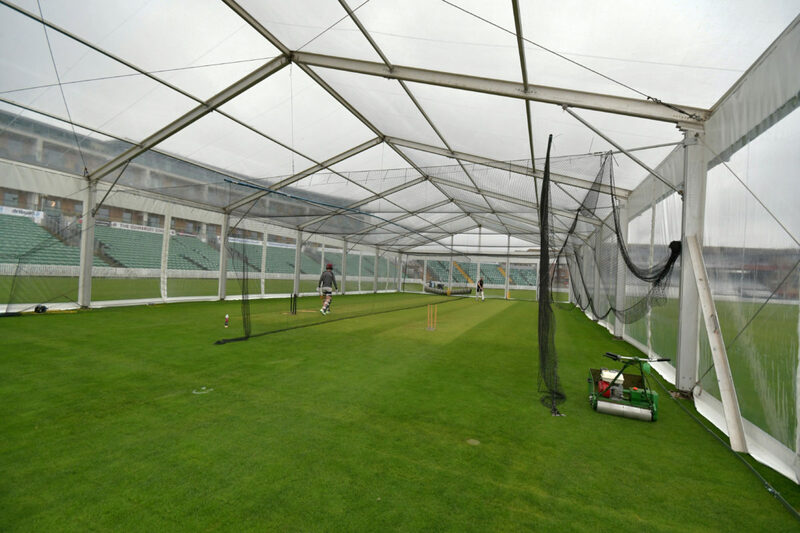 As with all of our clearspan marquees, a transparent marquee can be installed on almost any surface (whether it be grass, concrete, flagstones, a sloping garden or even beside a lake). 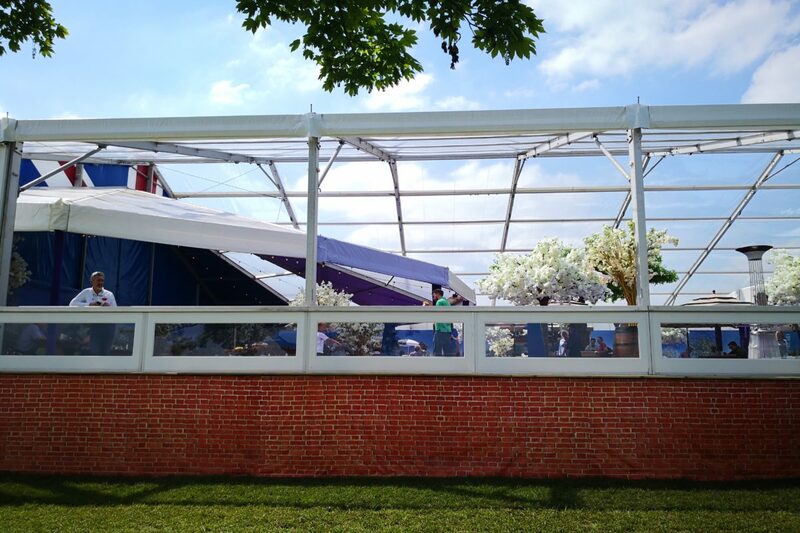 They are just as hard-wearing and stand up to the same weight and wind loading guidelines, so you can bring the natural beauty of your surroundings into your event space no matter where it is. 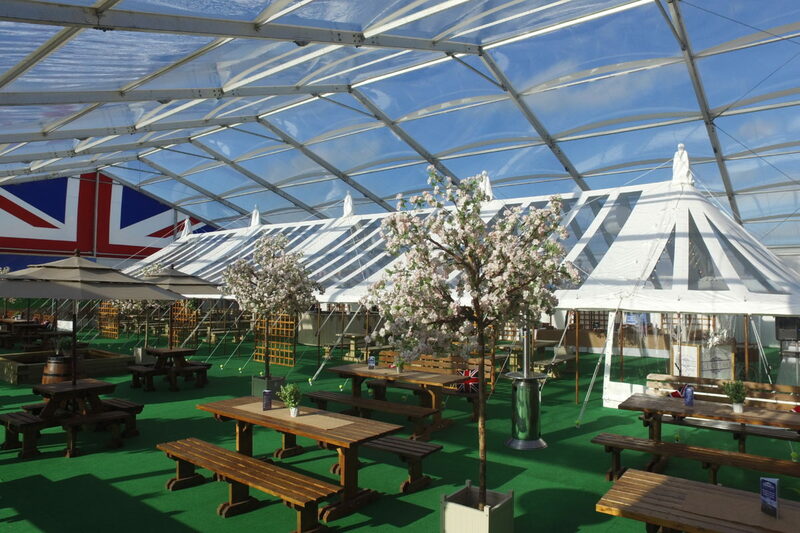 Our transparent marquees can be semi-lined if you prefer just a couple of clear bays in between the traditional white PVC panels or, alternatively you can go fully see-through with the PVC roofs and wall panels. 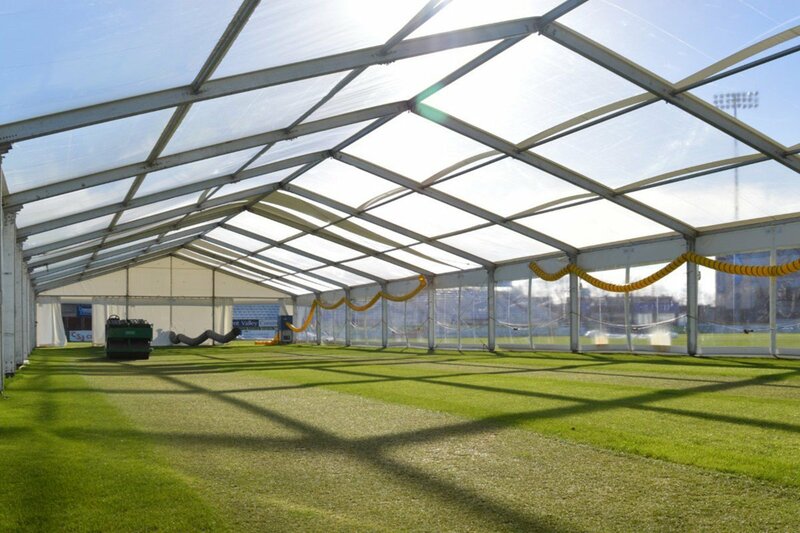 Just because we don’t have it in our existing stock, doesn’t mean we can’t get it made and ensure the most faultless glass roof marquee effect, to give your event a certain edge. 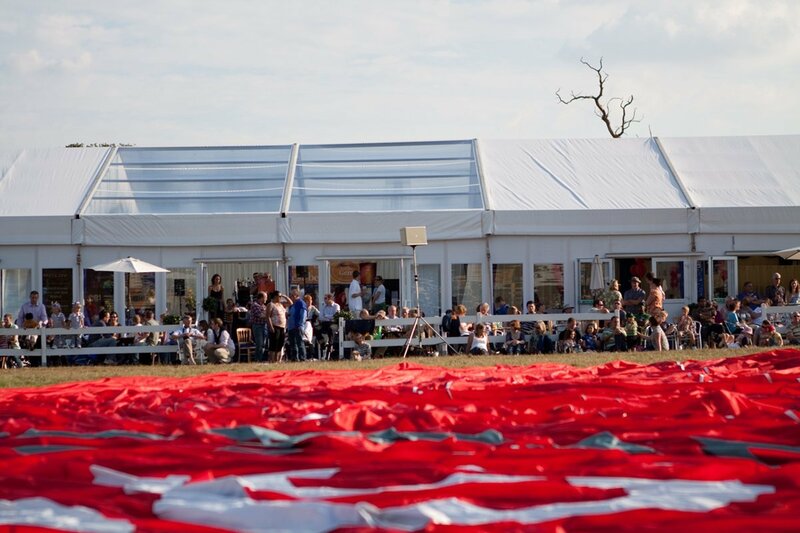 To find out more about the individual frame specifications or to get a tailored quote to hire a transparent marquee, fill out our online contact form.